I AINT GONNA DO IT!!! Lol, how many of us workout for instagram and take bomb pics and call it a day for the rest of the year? 😭😭😂😂😂 … okay, maybe that’s us a little bit 😪😪😪 haha. We haven’t been working out as much as we want to you guys!!! We blame it on “being busy”, but that’s not a great excuse right ?! Honestly though, we are finding it hard to make time to ensure that our bodies are fit. You all know this, we work in a very tough industry and we are on our feet the entire day which takes a bit of a toll on us so the little free time we have, trust and believe we are on our couch catching up on some TV 📺. We are not complaining about the busy schedule though, GOD BLESS!!! This week we are in the beautiful KwaZulu-Natal for some work and we decided to pull up our “yoga pants” and go do some real work. 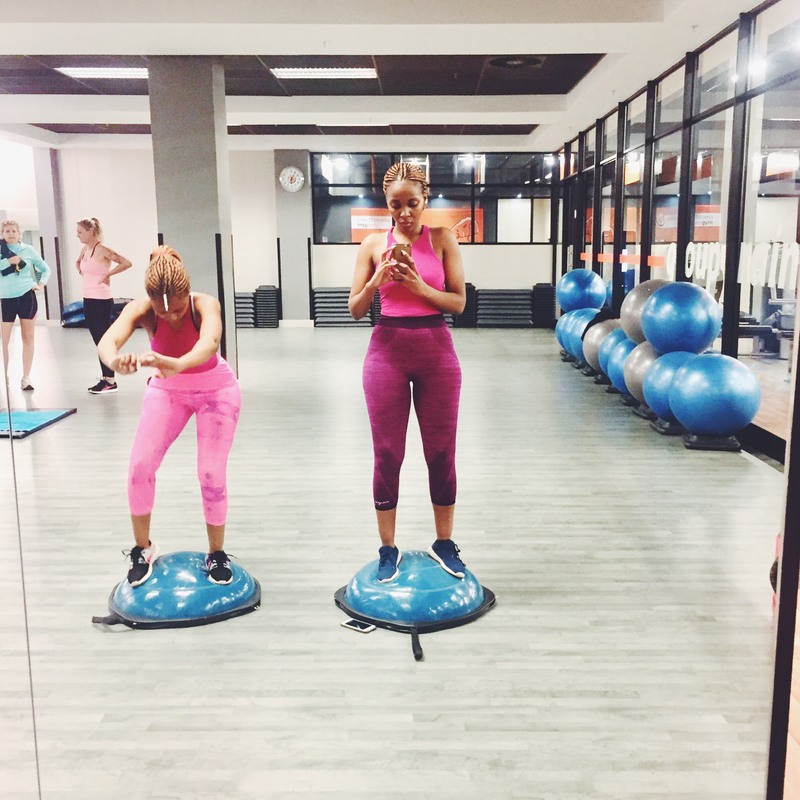 We went to the Planet Fitness at the Pearls of Umhlanga 😍😍 gorgeous, gorgeous gym!! But… lol, we don’t go to gym 😂😂 so we have absolutely no idea where to start lol, everyone seems to know what they are doing here except for us. So we just start off with the basics, 15 mins on the treadmill on an incline just to warm up a little bit and figure things out. We don’t do weights because we have spaghetti arm, our arms would fall off if we so tried but we found a great core and upper body workout that’s great for beginners like us. The rope workout, it actually challenges your ENTIRE body, the rope is heavy… very heavy 😓😓 but you can control the intensity of your workout, it’s really great for the arms. It’s definitely our new found obsession!! We moved onto the balancing spheres for some core training.